Hello all, new to the board and looking forward to spending a lot of time here. I have been searching the archives on finding out if a wall I removed was load bearing. 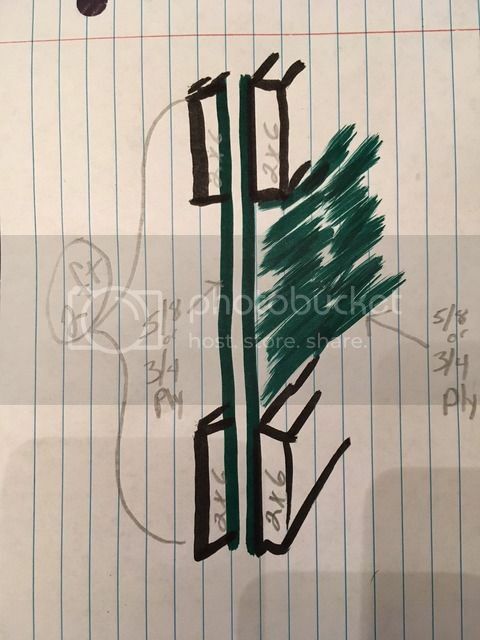 I was told by a house inspector that they were not, but I want to get other opinions before I start building. 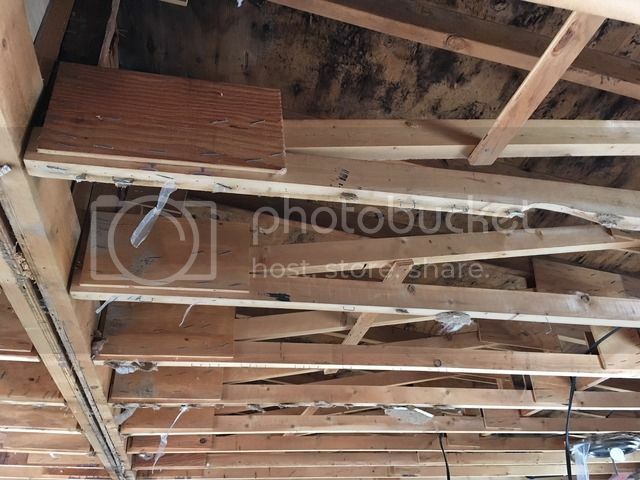 I have pictures to show the wall location, as well as my rafters. 1. It was not on the marriage line, but about 2-3 feet off the line (separating kitchen from living room). 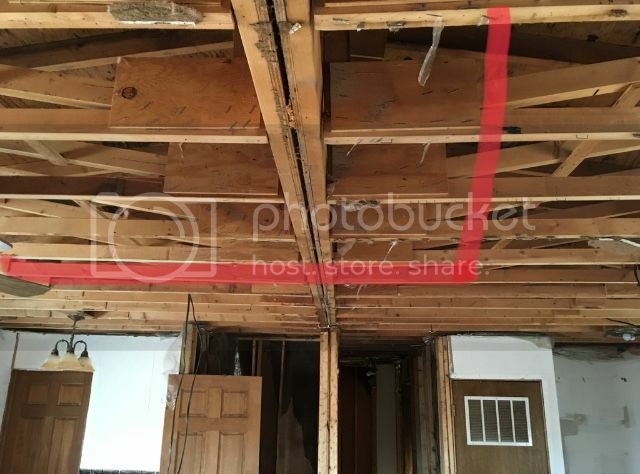 3. the other side of the marriage line was open, making me think that since the rafters are made the same for both sides, it would not be load bearing. 4. The center beam, at the marriage line, to which the trusses attach, is made up of (4) 2x6's sandwiching (2) 5/8" or 3/4" plywood sheets. Each side has 1 2x6 at the bottom, and 1 2x6 at the top, connected by 2' of the plywood, also there are vertical supports. The fact that the plywood is present in the area that is open, but not present on the hallway wall (which IS on the marriage line), makes me think the area where is is present, would maybe be designed to be open? I tried to draw an illustration. B. The second wall (wall B) made a right angle with wall A, and created a hallway from the front door and the living room. it was constructed the same way as wall A (2x4 studs. Top and bottom plates were 1x4). 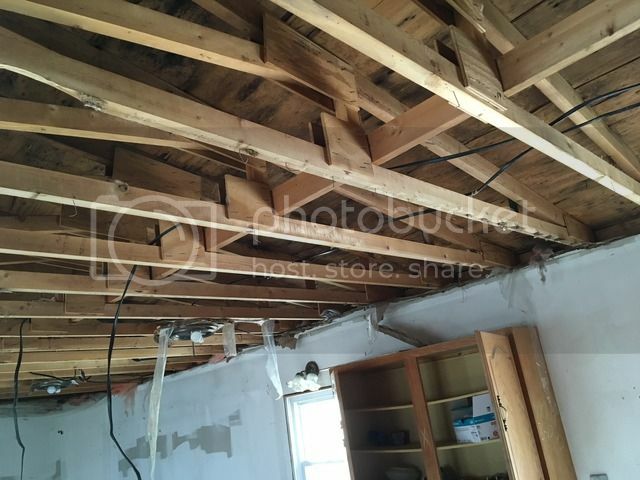 Judging by your experience, and the photos of my rafters, am I safe in keeping these walls removed? I can provide more photos and measurements if needed.